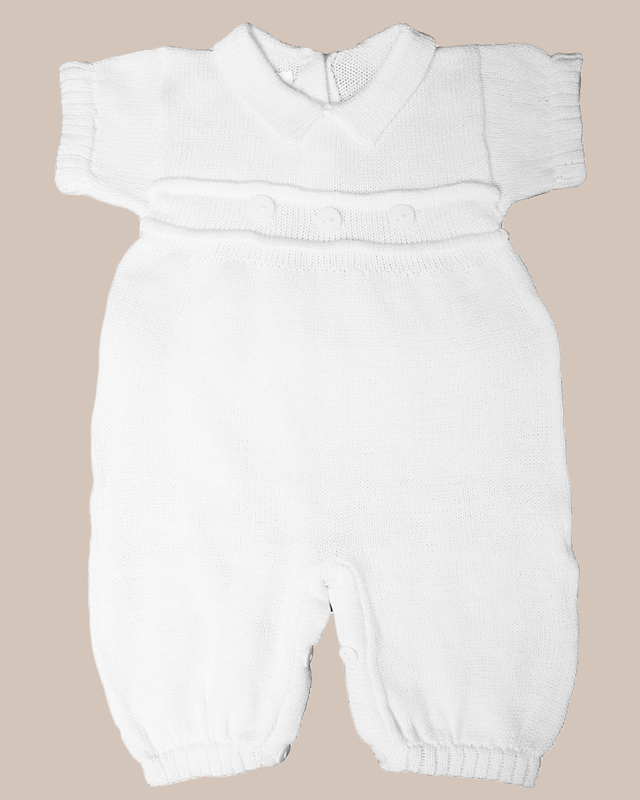 100% Soft Cotton Knit collared short sleeve, long pants with 3 front buttons and raised double panel design across chest. 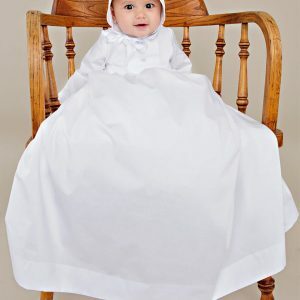 Ideal for Christening, Baptism, Blessing or any Special Occasion. 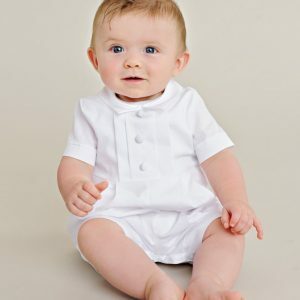 Collared Long Pant, Short Sleeve White Outfit. 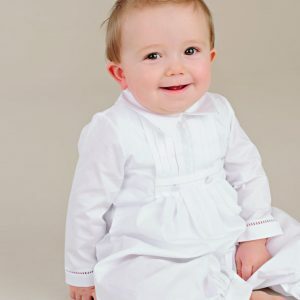 Features raised double panel design with 3 buttons across chest. 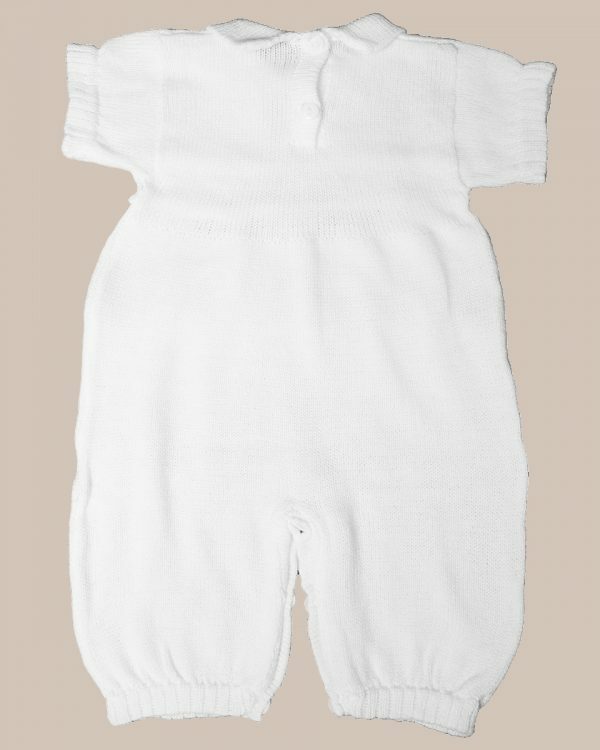 Ribbed edging on sleeves and pant legs.